Your Free Credit Report: How To Get it ...And Why You should do it! Free Credit Report: Here Is How And Why You Should Get It! Finally something - of value - that you can use -- and it is free! As we are going to see in this page, it is extremely valuable for you to get the pulse of your credit health. Accurate info in your credit report can mean thousands of dollars that you will save. Derogatory information must be corrected or it will potentially cost you extra dollars when you apply for your home loan. Much is talked about it and so much fuss is made around what is important in one’s credit record that sometimes is difficult to separate fact from fiction. Most the times (*) that you apply to have something financed, or you get a new credit card, or establish a new line of credit at a bank or even a gasoline card, you get the snow ball rolling towards making a credit record in the bureaus. As you are going to see in the article “FICO® Scores” below, 35% of your FICO derives from your “payment history.” Please pay close attention to how you handle your payments: Please pay in advance or, worst-case scenario, on time. TIP: (*) Please be aware that many small creditors, like “car lots,” do not report to the credit bureaus at all. On the other hand, there are some small, local and sometimes just one store that do report, but the FICO system does not like those kinds of credit entries and kind of penalize your scores. So getting your free credit report periodically will give you a 360 degrees bird's view on your finances. The Fair Credit Act gives you the right to obtain an “annual free credit report” – from each of the bureaus. That’s right, for FREE! It also says that whenever you are denied credit, you are entitled to a free copy of your record from whichever particular bureau the lender’s decision was based on. a) When you apply for credit anywhere, and you are denied, you have the right to ask the bureau to send a free credit report copy so you can verify the accuracy on your files. Well, that is a little clumsy way of doing it and I do not like it. For once, if credit is NOT denied, you do not get the opportunity to request your free credit report copy – ONLY if you are denied. Besides each time that a creditor hits your credit files with new credit application from you, your FICO® credit scores go down a bit …even if credit is denied. b) The proper way to do it is to send a written request directly to the bureaus. The Fair Credit Act explicitly guarantees that every person in the USA can ask for his or hers free credit report once a year. It is not only legal, but the law also guarantees it. In Georgia it is twice a year from each of the bureaus. Still much more info on my page “Credit Check” – please click here to check it out. 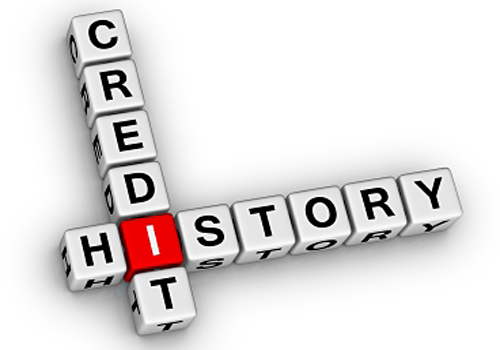 Please do not mistake “credit report” with “FICO®” score – they are related but they are not the same. Credit report - Everything that you buy on credit is reported to the bureaus… Well, most of everything: As I wrote above, some small creditors like car lot and small local stores do not necessarily report at all. They also collect info on your payment history, like on time or late payments. The bureaus also collect info on where and how long you live there. Bureaus also keep tabs on where you work and your earnings. FICO® Scores is a proprietary “algorithmic formula” of Fair Isaac Co. that will “plug in” all the info above and come up with a Credit risky assessment for you in a point in time. In other words it tries to access your “credit worthiness” in each point in time – based on your credit records. I keep pointing that timing is an important factor because scores can go up or down depending what is found in your credit records the day it is pulled. Payments posted in the accounts and/or purchase (s) you make – they all weight in the results. Please see article FICO® Scores below. Still much more info on my page “Credit Scores,” - please click here to take a look. Credit bureaus also keep info of where you work and your income. They also add to your files any collections, liens and tax lien that may be posted against you. Sometimes I have a slight feeling that credit bureaus know more about me than I do. Needless to say that it is extremely important that you get the grip on what is and what is not in your files. Furthermore, it should always be checking for accuracy. And you should promptly dispute every entry that is not. And you should do that methodically - every little bit counts and the Fair Credit Act also affords you that. The Fair Credit Act says that each individual has the right to request – and receive – a copy of his or her credit report once a year. This is a free credit report copy. Each of the three major credit bureaus – Equifax®, Transunion® and Experian® must comply: However you need to request it. They will not send out automatically. So please be proactive and ask yours! Now we come to one other thing of great importance that I am sure you may have heard before: Identity Theft! Scared enough? Please get in the habit of getting your free credit report in a regular basis, part of your live: As much as you care for your physical health, do check your “credit health!” often. There is quite a bit more info on my page “Credit Check” - please click here take a look! This is a proprietary creation of Fair, Isaac, CO – they’ve come out with the most widely used "algorithm model credit risk assessment" in the market today. Based on your credit records in each of the credit bureaus they use your data to determine your “score” in one given point in time. That can vary how each of the bureaus apply it. How calculation is done is a rather secretive matter – if not, everyone would take a slice of their $1 Billion a year business. Your FICO® scores do take in consideration all that is in your credit records. So it is very important that all that goes in there is reported accurately: how prompt you pay your bills, your “credit to debt ratio” which the ratio of your lines of credit and how much of it you currently using. Do pay special attention to collections, liens and tax liens: that will raise a big red flag to any lender. As you can see two items count for 65% of your FICO being your payment history the biggest them all. My suggestion is always pay your bills in advance, in worst-case scenario, pay on time. Next comes the part least understood by the general public: Amounts owed. Just because your credit card limit is $5,000 does not mean that you should use it all up. Always try use moderation and stay around 50% of your limit. FICO® people say they look on your credit files only. The lenders, however, will also look at your employment history, how long you work there and income. Do you work as a W-2 employee or 1099 independent contractor? Lenders always had preference that you had a “steady” job working for a company. Nowadays it is more so. Please notice that although you are guaranteed a free copy of your “credit report” every year, there is no such guarantee for your FICO® scores – so be cautious with such offers. You may request a free credit report on line. There is a hub to get all three “free reports,” conveniently and all at once. Please link below. The problem is that they come all out at one time – and then it will be another long year before you can have another opportunity to receive a free credit report. My preference is to space them up throughout the year. The following January start the cycle again – you would have the chance of catching any irregularities much sooner. Do take “the pulse” of your credit at least three times a year. Please know that it is completely legal! And it is free! Whenever you find an inaccurate entry in any of the credit bureaus, it is quite possible that the other two will have it too. You can take action to correct in promptly. Does it make sense to you? It takes a little more efforts and labor, but I think it is well worth your while. Getting your free credit report is but one of the ten most important steps that will lead you to a successful purchase of your new home!